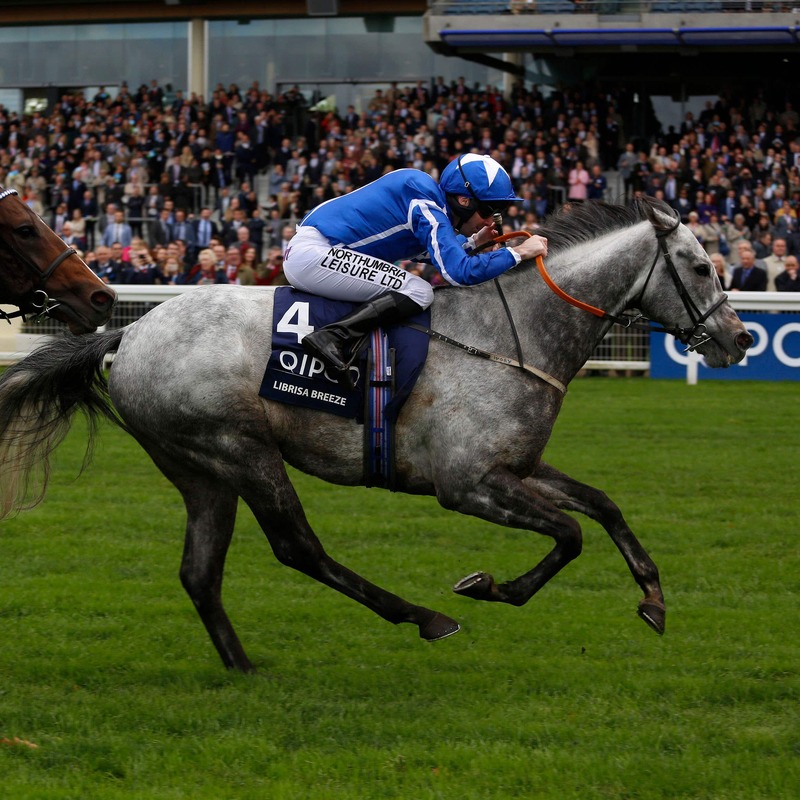 Dean Ivory was pleased to see plenty of rain fall at Ascot earlier this week as he primes Librisa Breeze to defend his crown in the Qipco British Champions Sprint Stakes on Saturday. The grey has not had his conditions all year – but with the ground in his favour, Ivory is expecting the real Librisa Breeze to line up, at a track where he usually performs to his best. “The rain is going to help us, we hope,” said the Radlett trainer. “He was a little bit disappointing last time. We’re always hopeful, but it’s a Group One so we’re mindful of that and they are never easy. “We backed up his last run quite quickly after he came back from France and the race at Newbury wasn’t run to suit. It’s a race we have to forget and put a line through. The Tin Man lifted this prize in 2016 and bids to regain it on the back of victory in the 32Red Sprint Cup at Haydock, where trainer James Fanshawe had viewed concerns over the heavy ground. “He’d been placed in the race in the two previous races and both times it was really testing ground and we didn’t feel he produced his best,” said Fanshawe. “So when we got to Haydock we thought ‘here we go again – soft ground, we’ve got no chance’, but I always had at the back of my mind he does come from a soft-ground pedigree. Harry Angel has yet to win in five visits to Ascot, but he was fourth 12 months ago and his trainer Clive Cox reports his star sprinter to be in rude health. “I’m very pleased with Harry Angel. He is pleasing with his home work and well-being. He is still a fresh horse, to be fair,” said Cox. “Although he does cope with it (soft ground), I would prefer it drier rather than wetter. “As I’ve said before, I don’t think the fact he has won at Ascot is as much as a negative as it has been made out to be, but it would be nice to prove it wrong. Tasleet, second last year, loves plenty of ease in the ground but disappointed his trainer William Haggas in The Tin Man’s race at Haydock. “I thought he’d run a bit better than that, but he’s come out of it very well and he’s bouncing. We are ready to go again,” said Haggas. Whether Limato takes his chance depends on how much the ground dries out after a deluge of rain. Owner Paul Jacobs and trainer Henry Candy will walk the track on the morning of the race before making their decision. The rejuvenated gelding seems up for the test after taking his winning spree to three with victory in the Challenge Stakes at Newmarket last week. “Henry and I reckon it’s going to be a 50-50 call,” said Jacobs. “The horse still seems OK. He’s come out of last Friday’s race well and seems to be dancing. He’s so fresh that he had to have a couple of canters on Wednesday.